In this ideabook today, we will show you plans of modern houses with pictures of the final result. These are designs from top architect professionals from around the world. 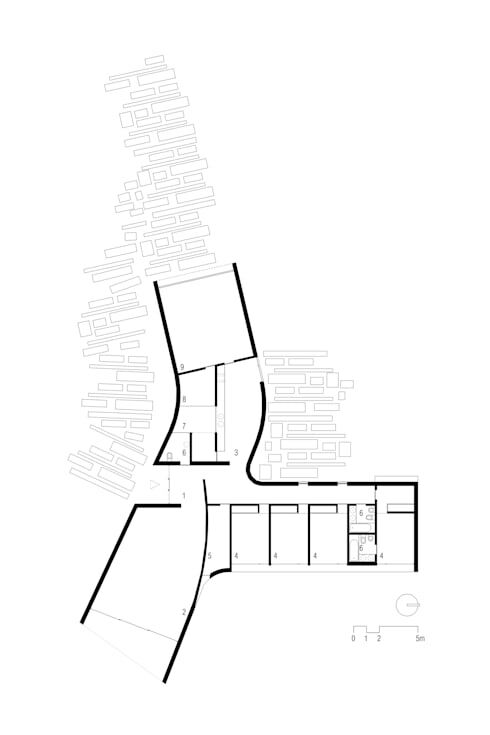 The plan is nothing but a graphical representation of a space or building. The purpose of a plan is to represent a multi-dimensional surface on a flat surface. To begin to understand, one must first know all of the distances by understanding how a scale works. For example if 10 meters is represented by one centimeter, it will read 1: 1000. This notion will help us to better estimate the space. Of course, an architect or engineer can help us to better understand what our future home will look like, but it's also important to ask questions and learn everything possible about the construction and remodeling of our homes. Then we can ask ourselves how to take the necessary steps to furnishing our environments. In this ideabook, we are giving you five examples to help you to better understand the relationship between the plan and the finished product of the house. This way, we can copy ideas that we see in drawings and photographs and know how they transform into the finished product of a home. 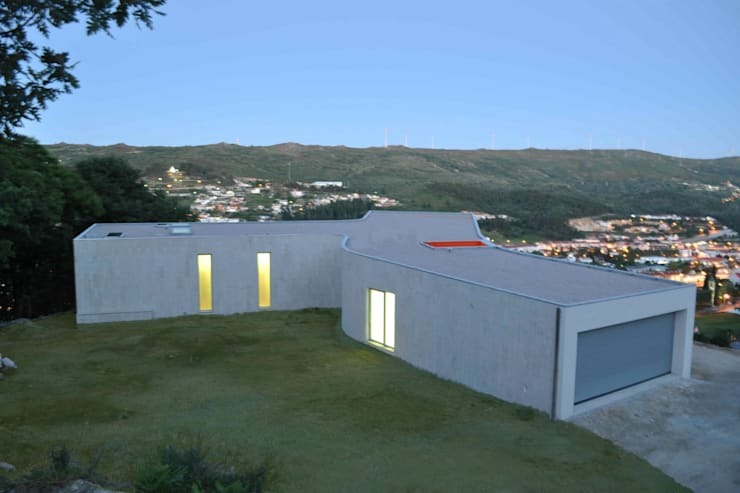 Join us as we explore these 5 modern houses and interpret the accompanying plans. Here we can see how well the plan depicted what the living room and kitchen was going to look like. It follows the plan precisely, including the hallway that leads to the three bedrooms and the bathroom. 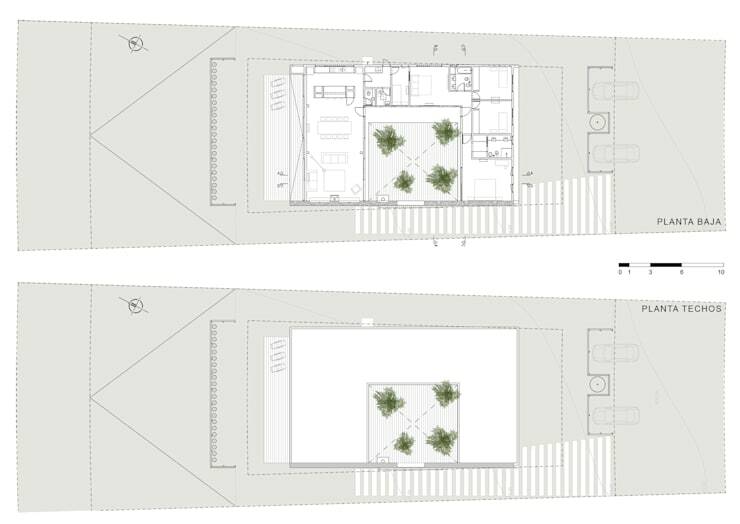 We have chosen this plan because it is more friendly for non-designers than some of the architect's versions. The use of different colours and the elaborate drawings showing the furniture can really help us to easily interpret this plan as well as imagine how the finished product will look. 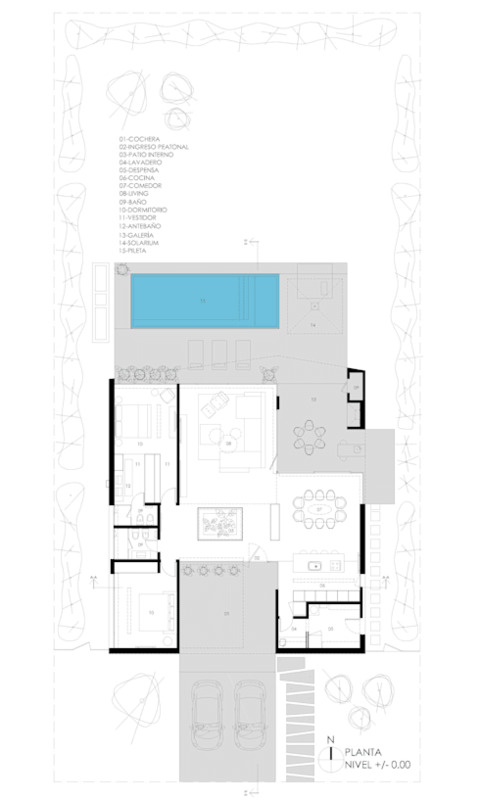 This wonderful home, designed by Estudio Geya can be seen in the form of a plan in this image. It depicts the lower level of the house where we can appreciate the living room, the kitchen, the toilet and the garage as well as how there is access to the kitchen and bathroom independently. We also love how the living room spills out onto the garden. There are also stairs, leading up to the second floor. In this real image, we can see the living room with the garden in the background thanks to the large glass windows and doors. 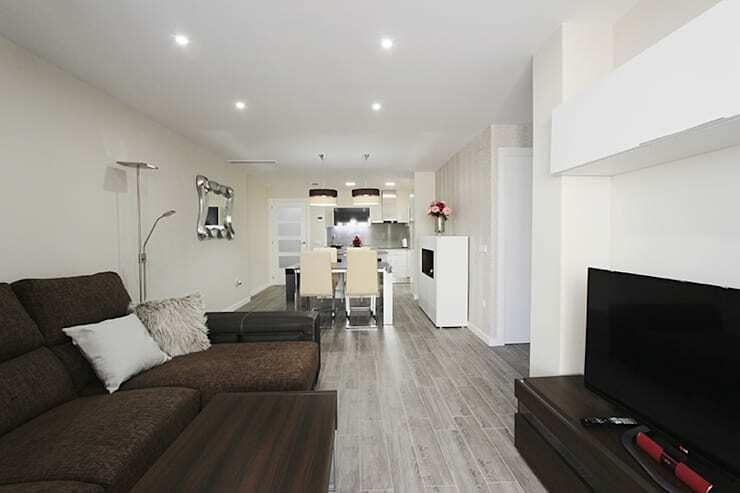 We can also see the open plan kitchen in the background. 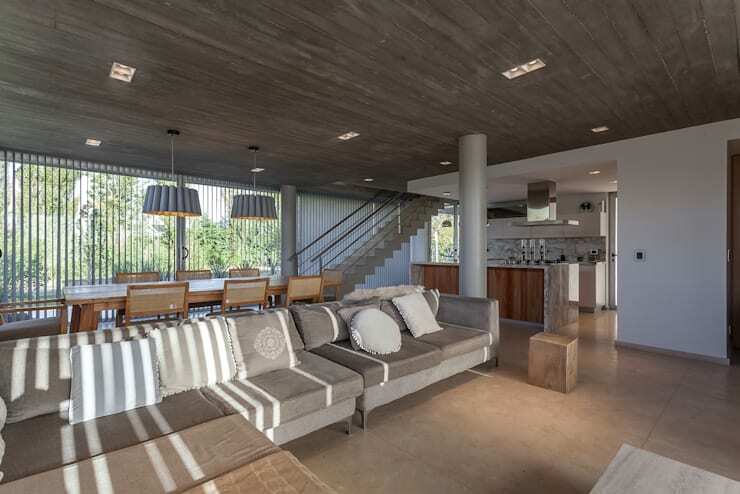 The concrete structure is complemented by a false ceiling in the kitchen, which helps to separate this environment from the rest of the house without needing walls. The modern decor is maintained according to the design of the house, with a very sober colour palette. Here we are presented with two floor plans of the home. The first, we only see plants in the home and the second, we see the furniture. The most interesting part of this building is that the central courtyard provides sunlight to the interior space and can be accessed from most rooms in the house. We can also see the patio and deck here. 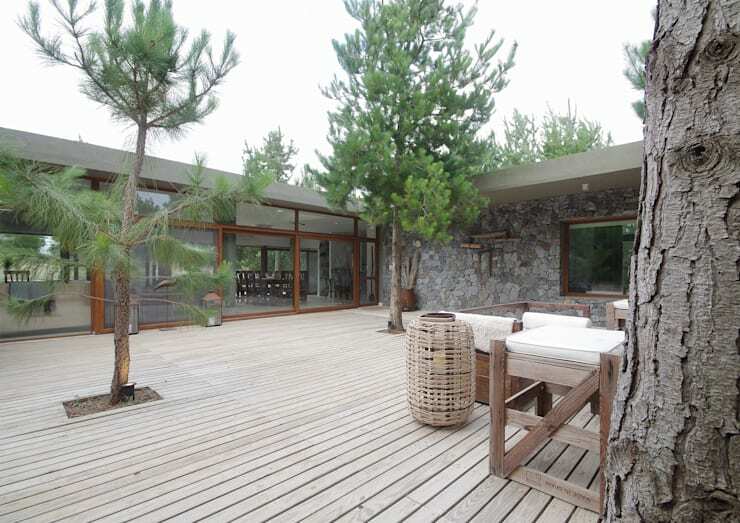 As it promised in the plan, this single-storey building is surrounding a central patio and deck area, which features beautiful pine trees, which inject a fresh look and feel into the home. On the left side, we see the living room overlooking the terrace. This is a wonderful example of a rustic design. 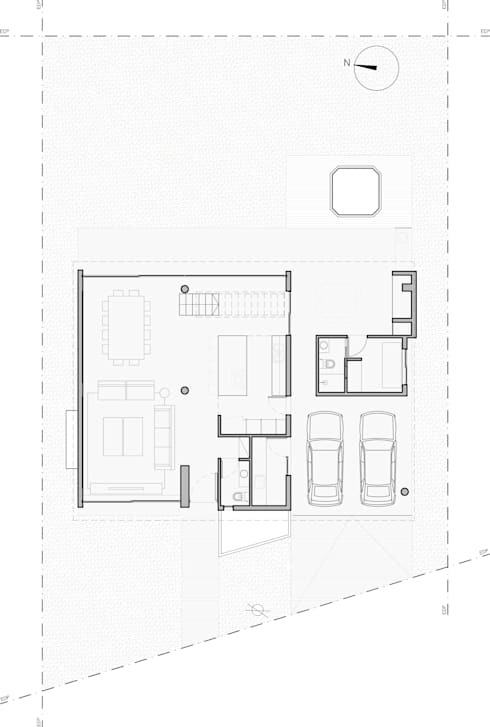 In this plan, we can see the outer and interior parts of the house, represented by light grey, white and black patches. The blue swimming pool can be seen in the background. This plan is easy to understand because of the numbers that accompany it, which are a guide for each space. This photo shows the final result with the pool and the gorgeous terrace in the foreground. The windows give us a little peek inside. Thus this home has been developed to match the plan, with every last detail in place, creating a very elegant and sophisticated home. This plan is a little bit more difficult to understand, given the unconventional structure of the house. On the other hand, we can clearly see the wall divisions in this home, while the numbers explain what each room is. Once we see the finished product of this stylish modern house, it's easy to compare it to the graphic representation that we saw in the previous image, even though the orientation is different from the previous picture. 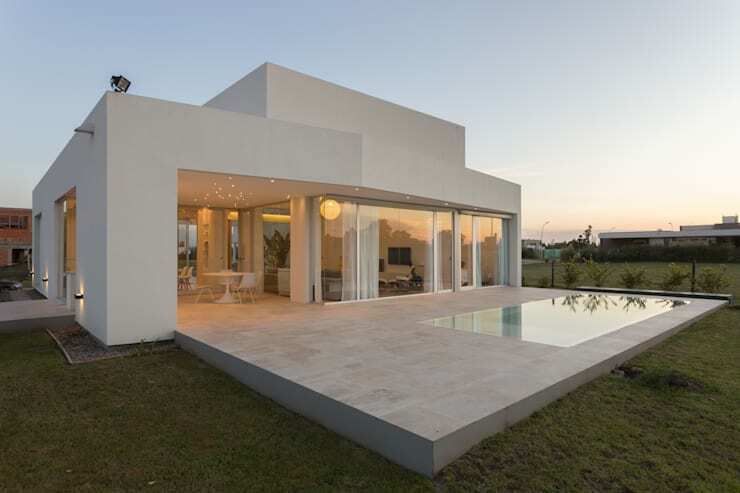 The house is presented in the form of a T and we can see how it takes on a very contemporary and unconventional structure, with narrow interiors. If you like this ideabook, you'll love these 7 excellent ideas you can copy from this great house. Which is your favorite home?